Political theorists have been writing about citizenship for over two thousand years, and it has been practised for even longer. No wonder, therefore, that the concept and status of citizenship have accumulated a complex variety of interpretations. However, no age before ours has had such a widespread and pressing need to understand these accounts. During the last decade of the twentieth century, although scholars have provided a rich flow of commentary on the subject, no single work offers an analysis that is thorough, succinct, and couched in an accessible style.What is Citizenship? fills this gap. Structured analytically, the book introduces the reader to all the facets of citizenship. These are illustrated by reference both to a broad range of theoretical writing from Aristotle to the present day, and to the actual provisions of the status in a number of countries. The volume explores, in addition, a diverse range of pressing issues, including: the differences between the civic republican and liberal styles of citizenship; the origins and current relationship between citizenship and nationality and the issue of multiculturalism; the problems experienced by "second–class" citizens; the concept of "multiple citizenship" including the status of EU citizenship; the changing definition of "world citizenship"; and the role of education in creating citizens. 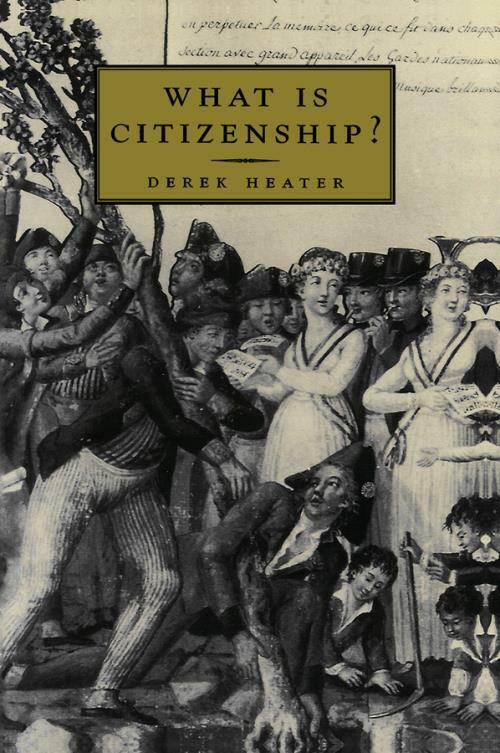 This book provides an invaluable introduction to this concept for students, teachers, and the general reader interested in the debates about citizenship today.